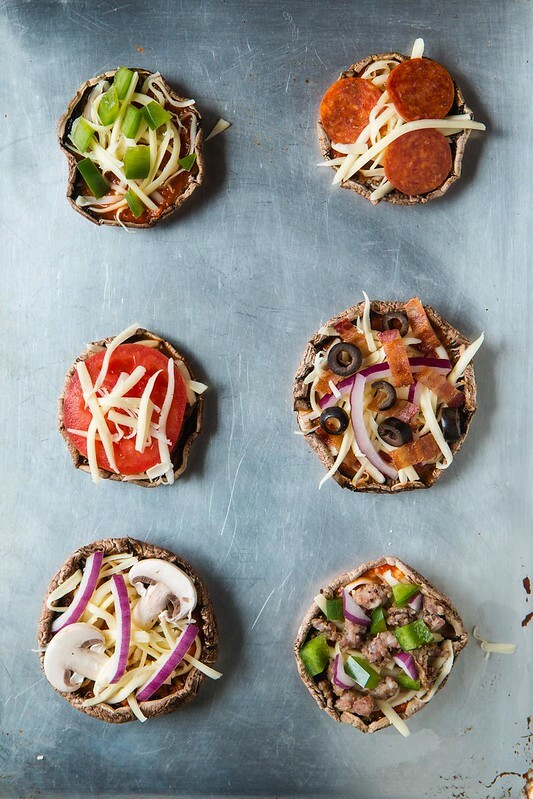 Stuffed Portabella Pizzas are a fun, easy game-day appetizer, or even a light dinner when you’re craving pizza but not all the carbs. 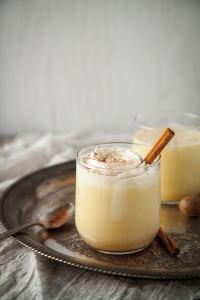 Read on, or jump straight into the recipe HERE. 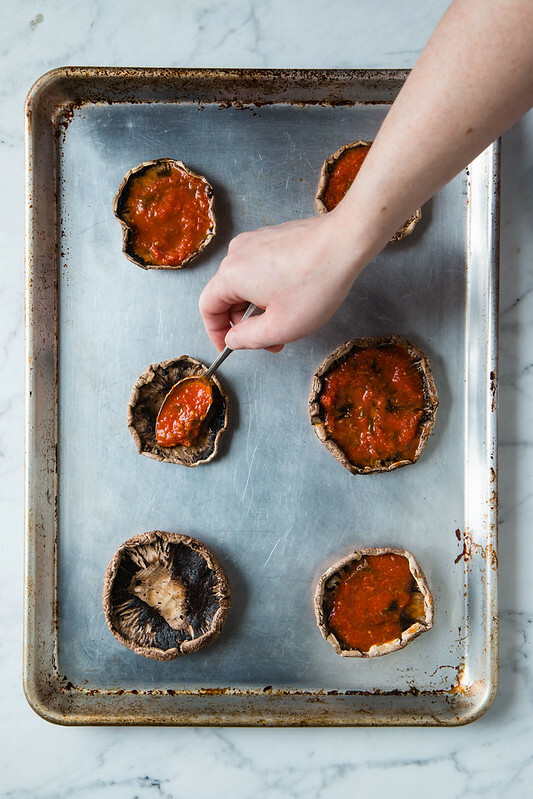 When I was a teenager, I was obsessed with the idea of stuffed portabella mushrooms. Portabellas just seem like they’re meant to be filled with delicious things, don’t they? It’s like nature said “here, have a bowl.” Thanks, nature. 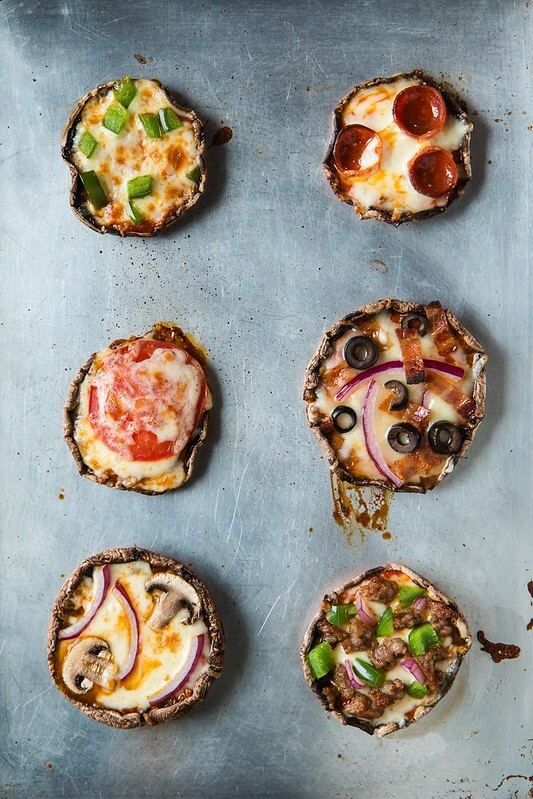 Combine that with the other thing teenage me was obsessed with (pizza, duh) and you get these: Stuffed Portabella Pizzas. Aka, porta-pizzas. Not to be called porta-pies, because that sounds way too much like porta-potties. Ew. Porta-pizzas it is. There is one hitch when it comes to stuffed mushrooms, and that is: mushrooms have a ton of moisture in them. 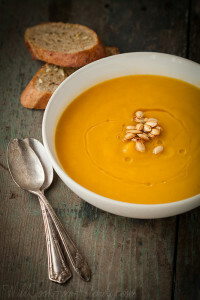 Fill ’em up with tasty ingredients, bake, and voila, you’ve just made a soggy, soupy mess. Wa-wa-waaaaa. I wasn’t savvy enough to figure this out as a teenager, but fortunately, adult-me knows a work around. By scraping out the gills with a spoon and baking the mushroom caps for a few minutes before stuffing them, you can effectively cook out some of their liquid and drain it away. Add your filling as you normally would, pop ’em back under the broiler for a few minutes, and now we’re talking. I was actually really surprised with how pizza-like these were. (I’m one of those people who thinks the best part of the pie is the crust, so I was skeptical to say the least.) 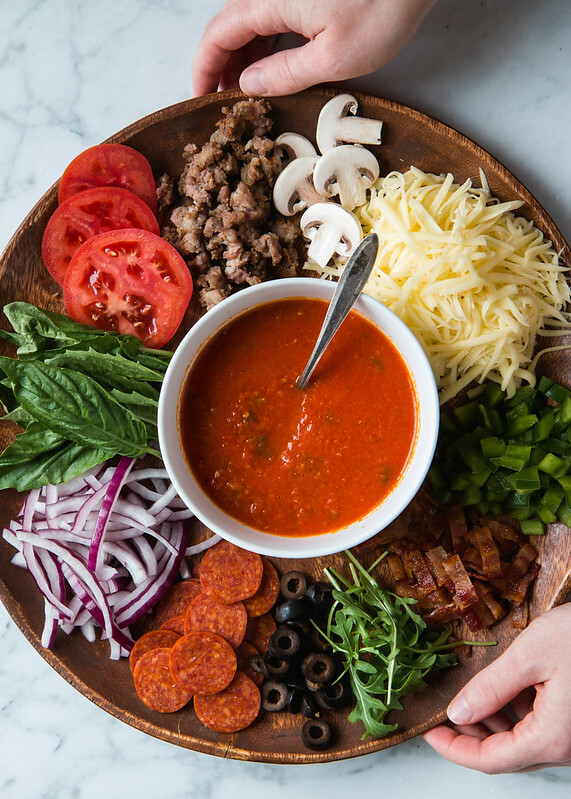 Obviously, they won’t replace pizza all together in my life, but they can certainly stand in as a fun way to lighten things up when cravings strike. If you’re serving these as a meal, I’d say you want 2-3 per person. 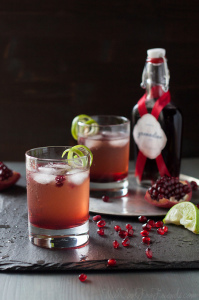 For appetizers, just one or two will do. Of course, it all depends on the size of your mushrooms, so YMMV. I was a little disappointed with the selection my grocery store had this time (they were almost sold out!) so my mushrooms are a bit all over the place in size. As for toppings, you can use whatever you like on your pizza. I made a bunch of different ones, some with meat and some without. If you wanted to make them vegan, you could probably use your favorite cheese substitute in place of the mozzarella, too. And yeah, I totally put some mushrooms on my mushroom stuffed pizza. It’s like pizza inception y’all. What’s your favorite pizza topping? Share in the comments below! 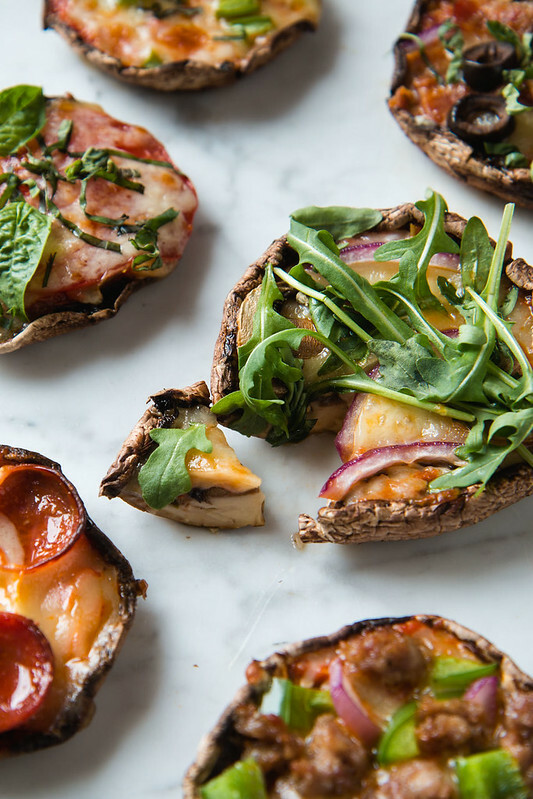 These stuffed portabella pizzas are a quick and fun appetizer, or light meal. 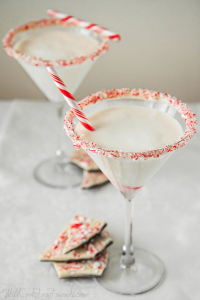 I've included some suggested toppings in this recipe, but feel free to mix it up and use what you like. 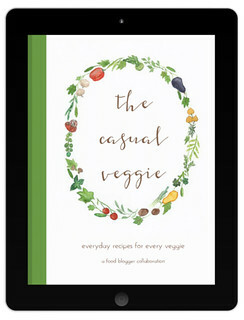 By controlling the toppings, you can make these vegetarian, or even vegan. Veggies: finely chopped green bell pepper, red onion, black olives, chopped artichoke hearts, mini button mushrooms (mushroom on mushroom action! 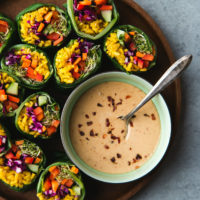 ), baby arugula or spinach, etc..
Other add-on ideas: crushed red pepper flakes, finely chopped fresh basil (optional but recommended), tiny pinch of garlic powder or cajun seasoning, a sprinkling of parmesan cheese, ranch powder, etc.. Wipe the surface of the mushrooms clean with a damp cloth, then remove the stems with a paring knife and scrape away the gills using a spoon. The gills are perfectly edible, but removing them will give you more room for stuffing, and help reduce the amount of moisture in the mushrooms. Place the mushroom caps open-side up on the baking sheet, and roast for 12 minutes. 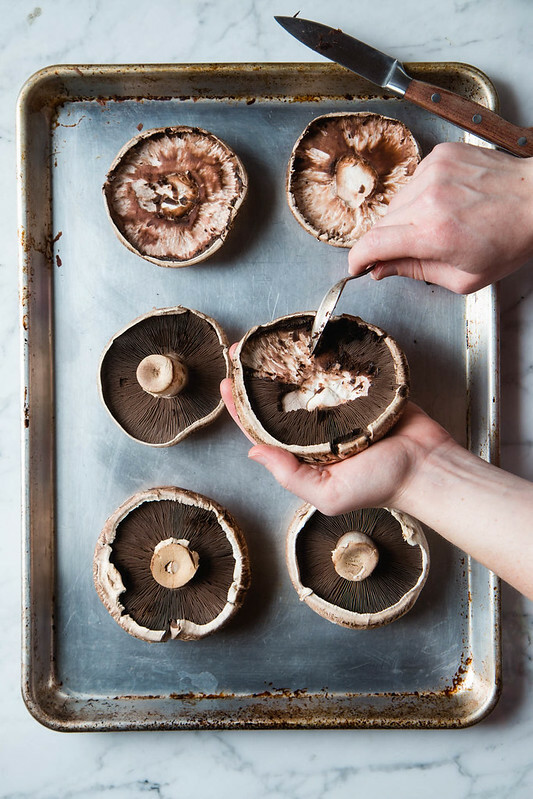 Remove from the oven, and gently use a pair of tongs to pick up each mushroom and drain off any moisture that has pooled in it. Once the pies are topped, return them to the oven. Let cook for about 5 minutes, or until the cheese is bubbly and golden. If you want, you can switch on the broiler in the last minute or two to get the cheese nice and browned. 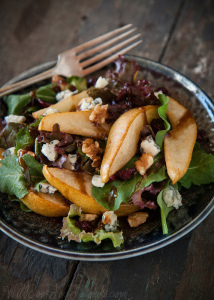 Once baked, you can add fresh ingredients like baby arugula or chopped fresh basil. Serve. You can fill these porta-pizzas with anything you like. I've included some suggestions in the recipe above, but feel free to think outside the box and use what sounds good to you! One other option, which I didn't try this time but plan on doing next time, is to use a little of your favorite barbecue sauce in place of the marinara. Top with shredded chicken and sliced red onions, and you've got yourself a barbecue chicken pizza! If you want my favorite BBQ sauce recipe for this kind of pizza, you can find that here: Barbecue Chicken Pizza With Homemade Sweet Baby Ray's Barbecue Sauce. This is always one of my top tips when someone wants to lower their carb intake. Pizza is all about the toppings for me anyway. Great minds think alike — and really, the toppings are what make the flavor. I must admit I crave the crust sometimes, but in between those occasional intense cravings, these will do juuuuuust fine. I LOVE stuffing portobellos! This is so clever- I hadn’t thought about making pizzas out of them! I do a faux-beef wellington like this though, and you’re totally right about scraping the gills out and pre-baking them. It really helps!! 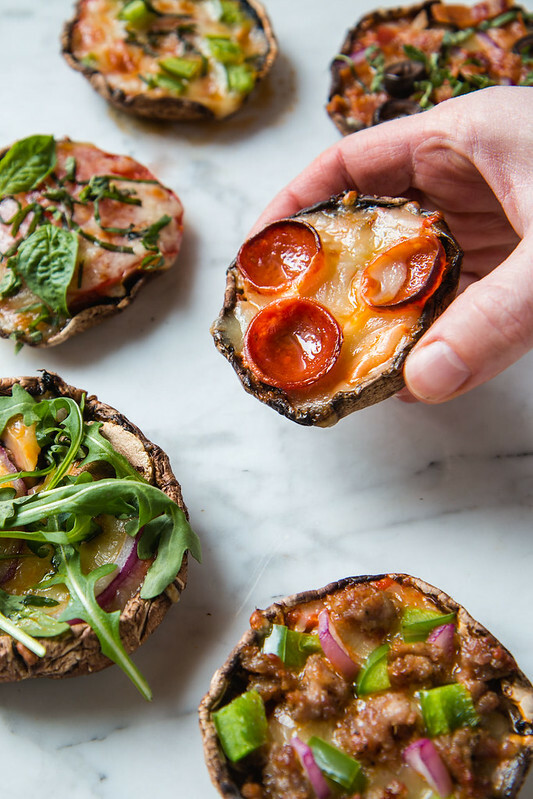 Portobello pizzas, such a great idea! I love a big selection of different stuffings you offer! Thanks Tina, I hope you like them!